Update: According to leaked images, it has f/4 aperture. 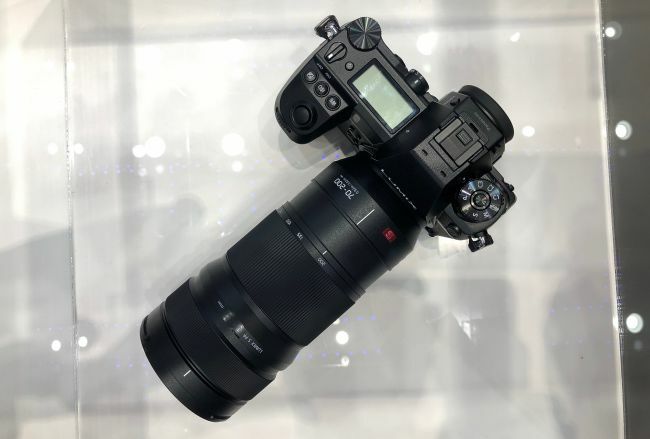 Panasonic S1 and S 70-200mm L-mount Lens was displayed at SWPP show at the Novotel West London in Hammersmith, London – which runs until Saturday. From the image above, we can clearly see that Panasonic S 70-200mm L-mount lens has a 77mm front filter thread, and the closest focusing distance of the lens is 0.92m (3.02 ft). All these specs we are sure now this lens will have constant f/2.8 aperture, it will be a Panasonic S 70-200mm f/2.8 L-mount Lens. 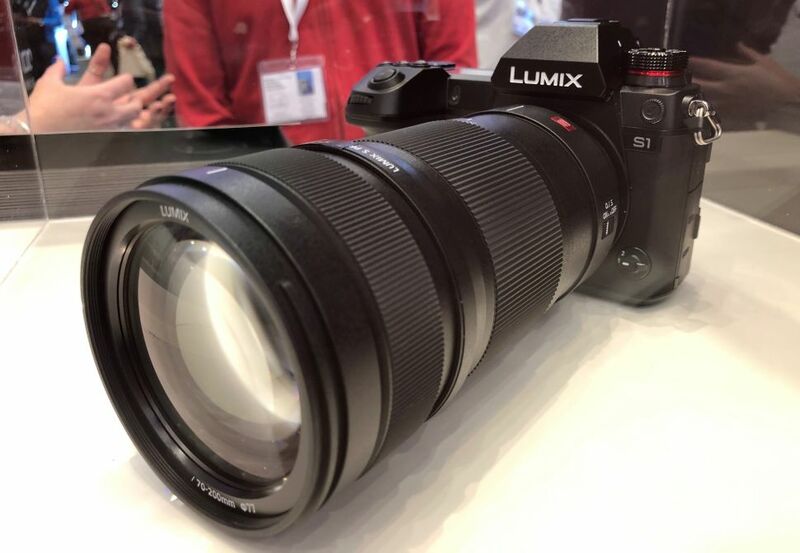 As rumored before, Panasonic will announce the full price & specs of S1 & S1R and S lenses at the end of this month, and you will be able to pre-order these new cameras & lenses on that day. Get instantly notified by e-mail when Panasonic S1 & S1R are Available for Pre-order ! First Leaked Image of L-Mount ! Panasonic Lumix S1 & S1R now In Stock and Shipping !